The National Work Life Week in UK runs from the 01st – 05th October and is a great opportunity for both employees and employers to concentrate on their well-being in the office. It is also the right time to think about whether or not you actually maintain a good level of work-life balance. Usually employers use this week to come up with various activities for their staff so that employees are able to enjoy flexible working patterns, practices and healthy policies. Do you find yourself always struggling to cope with your workload? May be you are regularly in office after hours or keep taking your work home? Do you feel overwhelmed and frustrated? 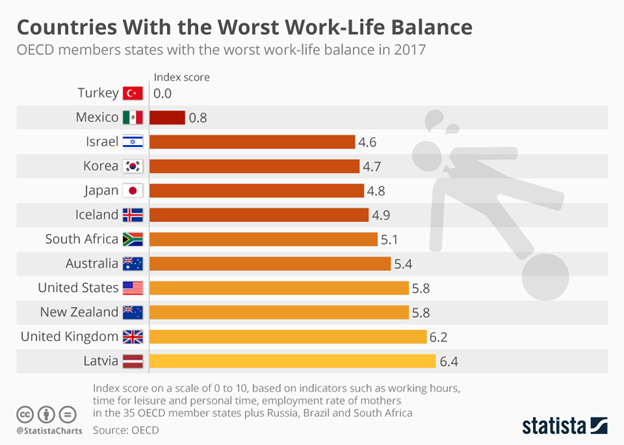 It is possible that you are under stress because of the lack of work-life balance. If that is so, here’s how to balance work and life so you stay productive and healthy too. 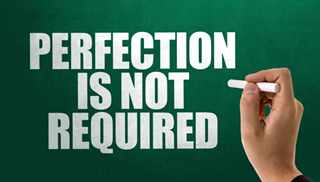 Perfectionism is good but is healthy doses. As a child you are prone to over-achieving and always trying to do everything as perfectly as you humanly can. But then, as you grow up your responsibilities begin to mushroom and if you are still holding on to that idea of absolute perfectionism, it can become destructive to your productivity and health. The more you want to do everything perfectly, the more time you will take and in the end you will end up procrastinating for the most part. So instead of striving for perfectionism try to strive for excellence. Give your 100% to whatever task you are handling but accept that perfectionism is not humanly possible with so many things to do. All day long you will most probably be sitting at your computer continuously churning out the work that comes your way. There may even be times when you actually forget to eat because of the workload. Stop for ten minutes, get up from your chair and walk a bit. Maybe go to the washroom and freshen up or pour yourself a glass of water. Go into a break room and relax for a bit. These are all great stress management tips that will help keep your productivity going and enable you to also keep your physical and emotional well-being in check. If you want to know how to avoid stress that gets built up when your work starts piling on, think about how you may have spent your time unproductively today. Perhaps you may have gotten distracted by a social media site or other website, maybe you were just browsing through random magazine articles or maybe you and your colleagues spent too much time at break. If you cut back on activities that waste your time, you will automatically gain more control over the schedule that you have for the day. Why not make your life easier if you have the choice? There are apps and software for pretty much everything today and if it cuts back on the time that you need to spend on your work and still get them done with high quality, why not make use of them? Of course in some cases, certain software will not be allowed by the organisation but if that is not the case, you should be able to work better and faster with the help of technology, cutting down on stress and the number of tasks to get done in a day. No matter what, finish your work in the office and avoid taking it home with you. home is your place of rest away from stress and you should use it to eat, sleep, relax and spend quality time with your family. Check what the Reader’s Digest has to tell you about this, so you can start implementing it. 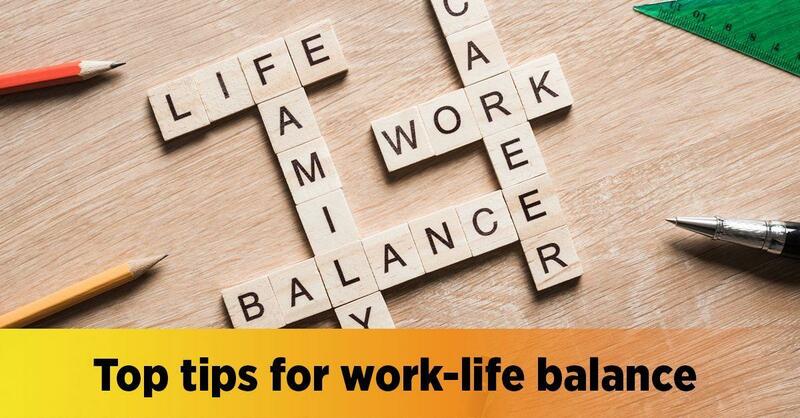 The more that you keep taking your work home, the more your work-life balance will be lost. It is also never a good idea to stay back in office till late every day because you have more work to get done. If this happens to you, take a minute to reassess what has gone wrong and why you cannot complete your tasks. It is normal to feel that you have prove that your bosses did the right thing hiring you in the beginning at a new job. Therefore you may be over-compensating by saying yes to more tasks than you can actually handle. You will compromise on quality and get negative feedback and with time your performance will suffer and you will get frustrated about your job. Your bosses maybe doling out more work than you can handle but, they may think genuinely that you have the time. 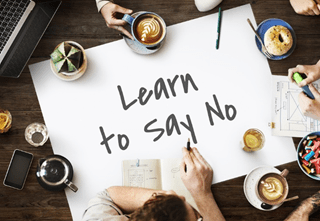 Don’t be afraid to say no every now and then or simply ask for realistic deadlines after showing them the workload that you have. A good boss will always understand and value quality over quantity. Tried All of This and Nothing Really Worked for You? Sometimes your situation may be unique and you might have to go more in-depth to address your concern. When this happens think about educating yourself about your problem better so that you can find effective answers. 1Training, a leader online education provider in UK offers you a range of stress management courses that will help you achieve great work-life balance and stay stress-free in general. Even if you want to become a counsellor, our programs are accredited professional qualifications that will help your career. 0 responses on "Top Tips for Work-Life Balance"